I wore this outfit to the Southern Blog Society (Now with national membership spots available at The Blog Societies) meet-up in Nashville last weekend & seriously can't get enough of these pieces! 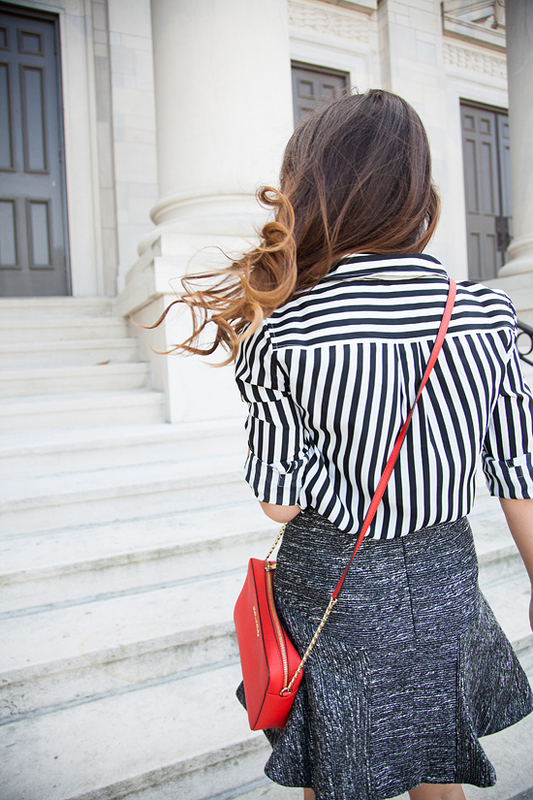 Remember this striped top from this jeans look last week? And stay tuned for this skirt to get remixed with something a little edgier next week! Tweed is such an IT print for Fall & I love that it isn't just for super buttoned up looks anymore! Although the wannabe prepster in me was seriously considering getting this tweed jacket + pencil skirt combo, I'm thrilled to see the tweed print on more casual pieces like these slip on sneakers & color blocked tee. Have you embraced any tweed for Fall?